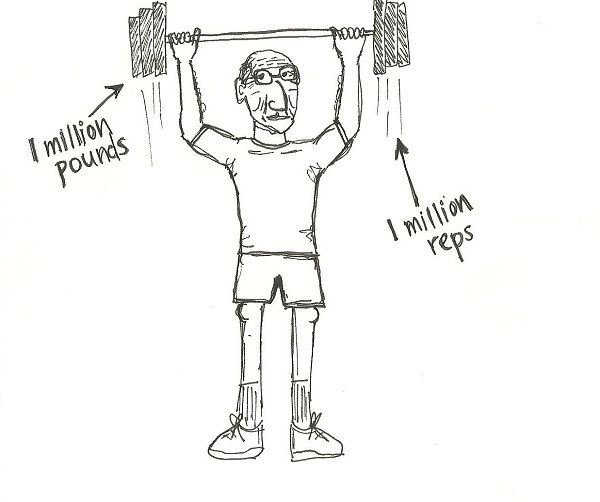 So I forget what sparked this but Adam had read some funny thing about old guys working out at the gym in street clothes/awkward outfits who do a millions reps with a million pounds. True story. So since I’ve been on a mega workout kick, I will honor this and all the other old guys who do a million reps with a million pounds.